Big Game Fishing on Balancal – Half Day: Join us and catch the fish of your dreams with Balancal. The Madeira Island Fishery has a rich but relatively short history. The fishery was discovered some 30 years ago and visiting anglers have traditionally targeted Blue Marlin, Big eye tuna and shark. Dr. Antonio Ribeiro was supposedly the first person to catch a blue marlin off Madeira bringing ashore a fish of 740 pounds in 1973. His sons Roberto and Joe to this day religiously fish for Blue Marlin and carry on in their fathers footsteps. Madeira has over the past years has produced some of the world’s largest blue marlin, which is also reflected by the results of the annual July 4th Blue Marlin World Cup. Madeira was World Cup winner in 1995, 1996, 1997 and narrowly missed the World Cup fish in 2000. This year’s result was a second place. 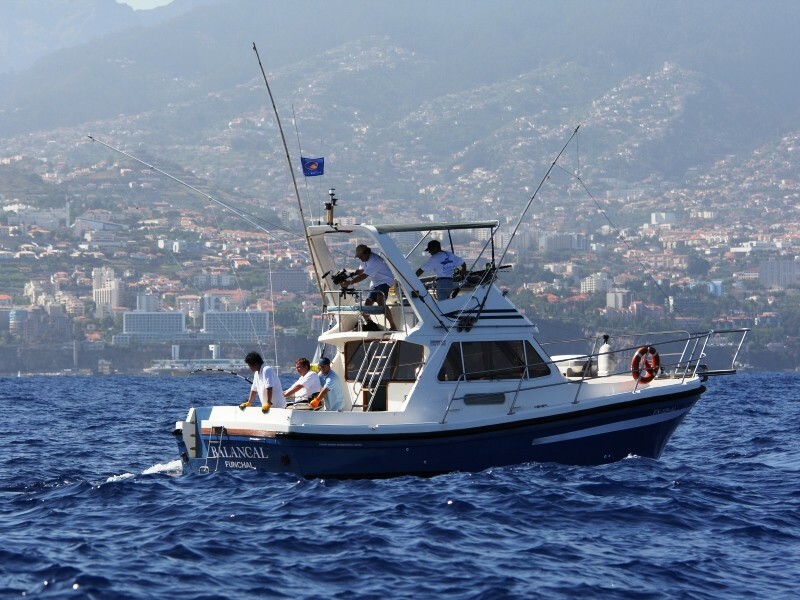 The marlin season in Madeira runs from May through to October, with a fish average of about 700 lbs. About one in every ten is that fish of a lifetime, a grander blue marlin. These huge creatures swim in its predominantly calm blue waters, with the run to reach these leviathans being practically non-existent. In fact it is not uncommon to catch fish within 1 kilometre of leaving the marina! Add to this a delightful temperate climate in which to fish, and all of this set in a safe, civilised European environment you’ll see why there is no finer Atlantic Blue marlin fishery. For these reasons now some of the most famous names in fishing such as Stewart Campbell, Jerry Dunaway, James Roberts, Tracey Melton regularly make their way to Madeira for the summers and those world record fish! 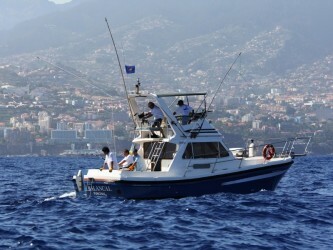 As Madeira’s warm blue waters change to a cooler green the fishing also undergoes a transformation. The marlin gradually leave, replaced by shoals of big-eye tuna and albacore. These pelagic migrants provide the angler with some truly world class tuna fishing from February to May. Big-eye tuna of 150 lbs+ are regularly caught with fish in excess of 200 lbs being far from uncommon. Albacore whilst not reaching the weights of the big-eye tuna do provide the angler with worthwhile sport on lighter tackle.